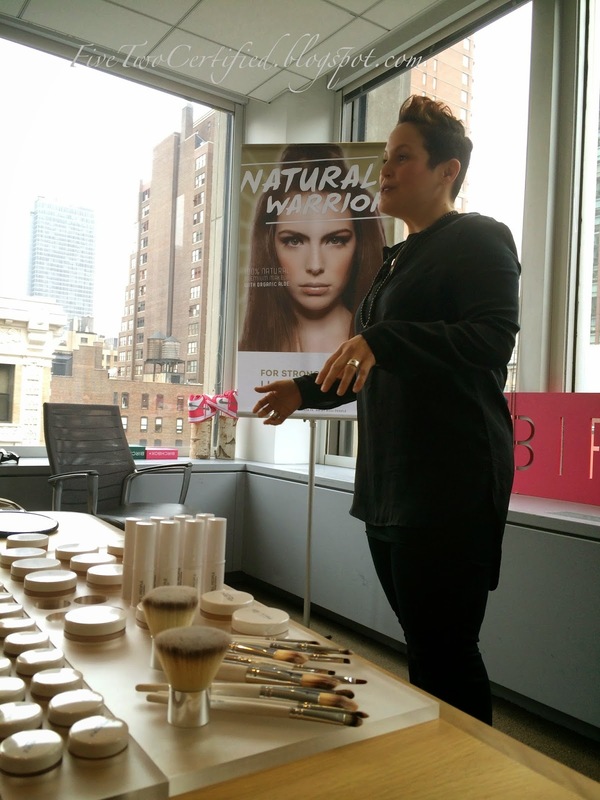 Back in March, I was invited to a Birchbox Breakfast Event with W3LL PEOPLE, that was being held in the Birchbox HQ in New York City. If you have been following me on Instagram (@_j4ckie), I have posted a few pictures during these great birchbloggers breakfast. W3LL PEOPLE was founded by three friends from Texas. All three have been friends since college in University of Texas in Austin. One became a Cosmetic Dermatologist, Renee Snyder M.D; James Walker, the self proclaimed Treehugger. He's the visionaire and wellness fanatic behind the brand. And our host for that morning Shirley Pinkson, the professional make-up artist. Before starting W3LL PEOPLE Miss Shirley used to work with MAC Cosmetics and NARS. All three had a vision to make a beauty product that our skin will benefit from, have great color pigmentation that will look great on every skin tone, and made with great natural and organic ingredients! 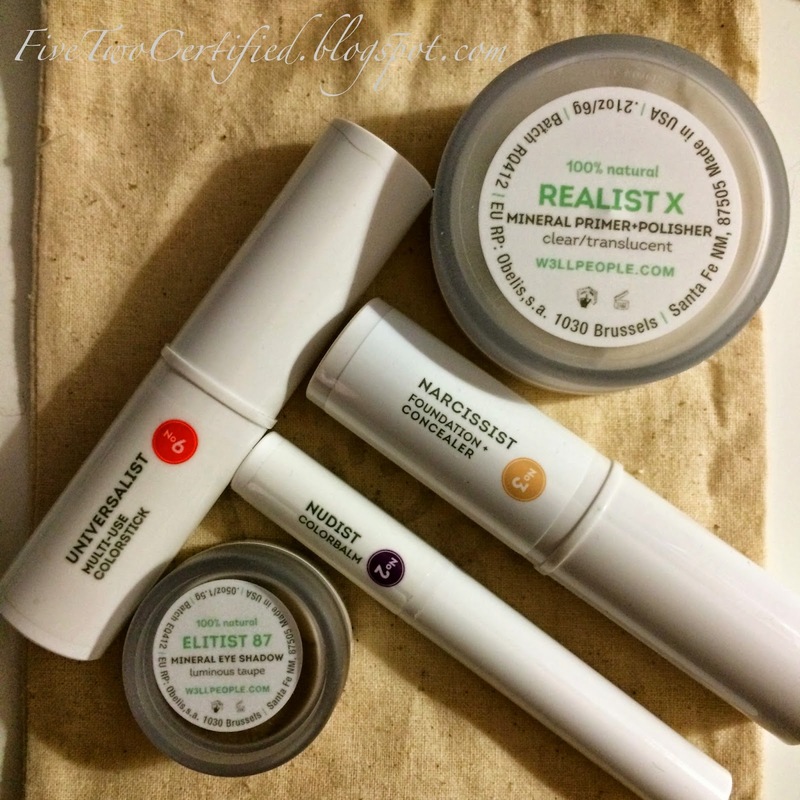 "W3LL PEOPLE super-natural makeup is designed specifically for the modern woman who demands authenticity, simplicity, and quality—but not willing to compromise on convenience and performance." This is a cruelty and chemical free makeup brand! Their main ingredient on their products is the Organic Aloe Vera. Aloe Vera is known for it's moisturizing, soothing, healing powers to the skin. And as Miss Shirley said during the event, in time of using their products you will see improvement on your skin because of the great ingredients they have put in their products! Some other ingredients you will find in most of their products are organic chamomile and organic green tea. 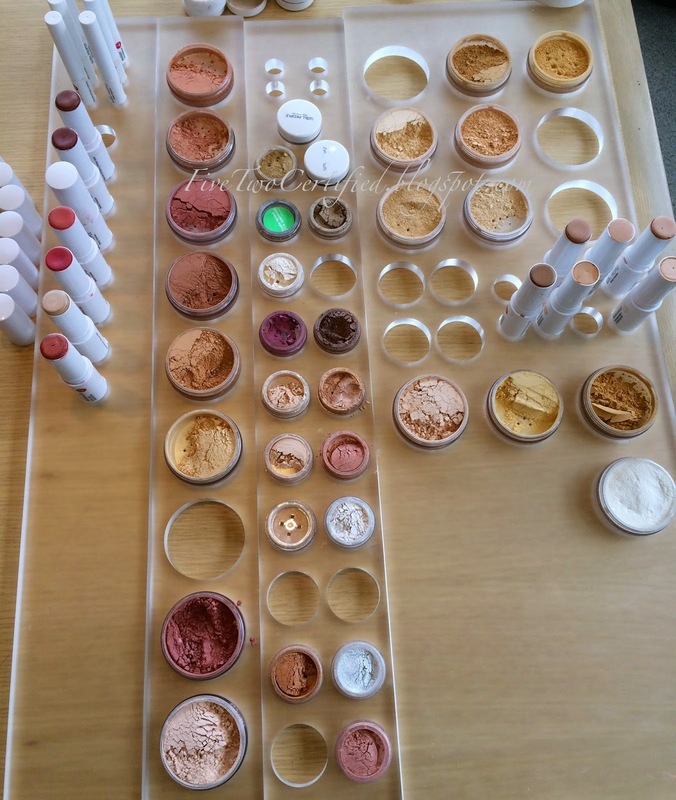 After Miss Shirley Pinkson's introduction about their brand, answered our questions and explained to us all the makeup products that she has brought to the Birchbloggers Breakfast Event, we each got a mini-makeover using the W3LL PEOPLE products! *I will be talking more about the W3LL PEOPLE beauty products on another blog post, a more in-depth review of their products. For this post, I just wanted to share with you what happened at the event. Yogurt with granola, fruits and pastries with coffee and tea were served during the event. 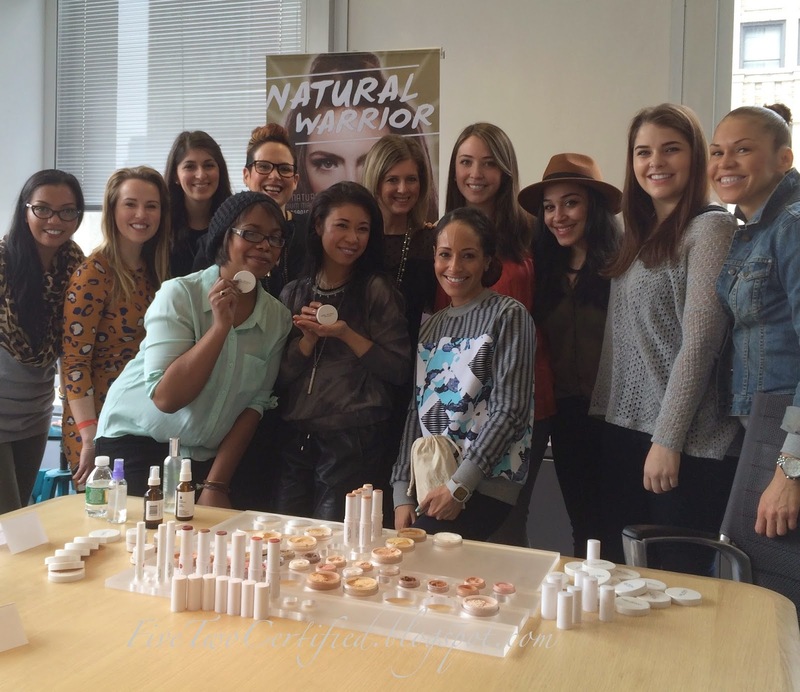 Along with 9 other Birchbloggers and the beautiful staff of Birchbox we had tons of fun for two and a half hours that morning learning about this great brand, and had a chance to swatch and try out W3LL PEOPLE products! At the end of the event, we all came home with a goodie bag - which I will write an in-depth review of next time! But for those who are curious what was in the bag, here's a picture! Miss Shirley surprised us all by giving us our matching color of their Narcissist Foundation/Concealer stick in addition to what was in our bags! *She gave me the Narcissist No.3 pictured above is actually pretty light on since she did not have my matching color in hand. She told me to use this as my highlight stick, which I have been using under my eyes and on the bridge of my nose, and top my eyebrows. This was such a great event! It was such an intimate setting as there were only few chosen bloggers that got invited and we get to hang out with some of the Birchbox staff during the breakfast as well! Getting a chance to speak to W3LL PEOPLE's co-founder Shirley Pinkson one-on-one and get some of her makeup tips and ask her more personal questions was a really great! And this was such a great opportunity to meet other beauty bloggers here in my area. I have stayed in touched with a few of them and I cannot wait to attend more in the future and network and learn some more! *This was my first time going to a Birchblogger's Event, and I need to give my beautiful friend Liz from My Pretty Obsessions a shoutout for letting me know about this great community within Birchbox! I would not have been a Birchblogger if she did not tell me about it!